Do you ever feel like people judge you based upon your appearance? Well, if you feel that they are you are right. People judge you if you are dressed nice, if you wear sweatpants, if your hair is too perfect or too messy. If you are skinny, people make assumptions about you. If you are fat, guess what they judge you for that too! Harper will be here in days, literally. 2 more days! But, apparently some people can't tell I am ready to pop pregnant. I just look "Fat". I have been taking my son for a walk every day I have the energy to do so. We walk for 1 1/2 to 2 miles each time. I know it is good for both of us to exercise and get out. As we were on our last walk, my son was struggling with me. We were close to home (one street over) and he wasn't ready for the walk to end. At this point I cannot lift all 45 pounds of my son so I do the best I can to manage him without hurting myself or the baby. As we were struggling along, This old lady comes off her porch and tells me "If you would lose some weight you could better keep up with your child." I said "excuse me?" she said "You could lose 35 or 40 pounds. There is no reason for someone as young and with a small build to be so heavy." I said "I am 9 months pregnant..."
Her face turned red! She said "Oh, I just thought you were fat..."
Dear Weary Mom, this made me feel so bad about myself. It never feels good to have a stranger tell you that you are fat, or insinuate that I am a bad mom based upon my size. Yes I gained exactly 35 pounds... but isn't that around the normal weight to gain during pregnancy? I wish that as a society we could get past appearance. That we could recognize that looking great or looking eh, or fat doesn't mean anything. Some of the nicest people I have ever met are not supermodel quality in the appearance department. Some of the most attractive people I have ever met are not nice people. I learned a lesson today. I was guilty of judging people based upon appearance. I would really not go out of my way to speak to someone in pajamas in public before. But after being judged for being "FAT" I am aware of how it feels to be the object of unfair opinions. 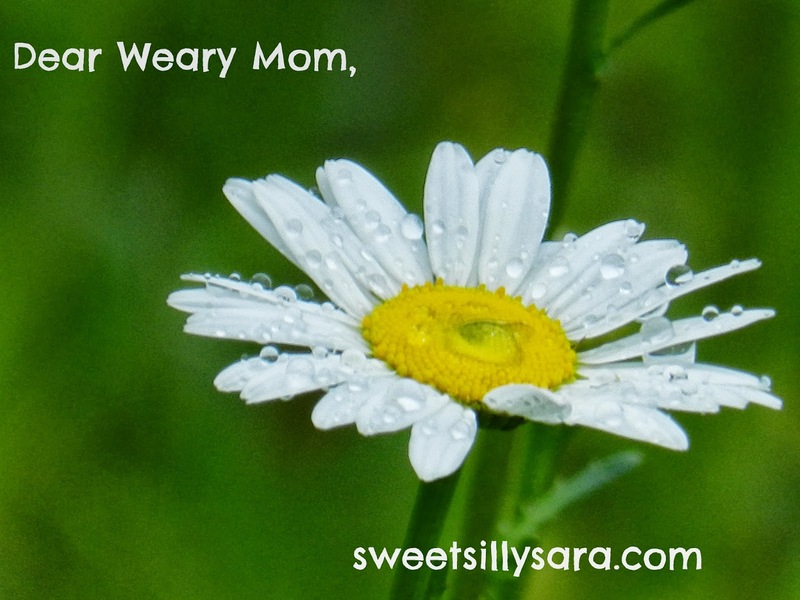 Dear Weary Mom, be proud to be you. Be glad to be alive on this day and to be doing the best you can! If you are a mess, if you are perfect, if you are skinny or fat, it doesn't matter. It really is what is on the inside that counts! I'm so sorry for what you had to endure with this woman's rude comments, without her knowing the situation. I try not to judge people, since I don't always know their circumstances, but I'm sure that I have unfairly thought something negative about someone else at some time. After some personal experiences of my own in the last few years, I have made a more conscientious effort not to judge, when it comes to appearances, something I may have read about someone, or even how they parent their children. Life is difficult enough without having a guilt trip laid on you by others who know nothing about you.